Like a couple of old Holden cars in the Australian Outback, I was feeling just a little rusty and worse-for-wear this morning as I headed out on a 10-kilometre pack walk with the mandatory 20-kilograms strapped to my back. As part of my training to prepare for two climbing expeditions to Nepal in both the pre and post monsoon periods in 2015 I pack-walk between 10-20 kilometres with a 20-kilogram backpack every other day, and do sprint running on the other days. Unfortunately, a recurring injury I have suffered over the past 12 months or so has been a tight calf-muscle in my left leg. Well to be more specific, and for the medically inclined, it is the peroneus muscle group. Over the weekend “The Kiwi” was in town so there was plenty of training on Saturday in the mountains and given the extreme heat a few beers were consumed at the day’s end! Of course, many will know “The Kiwi” as my partner in endurance events both in Australia and his homeland of New Zealand, and he is the bloke who has dreamed up a 250-kilometre run, come walk, from Newcastle to Sydney in March next year – apparently in 60-hours! Oddly, 250-kilometres seems to figure often in the things he dreams up, last time that number came up it was a 250-kilometre cycle, run, and kayak from the west to the east coast of New Zealand’s south island. Crikey, I wouldn’t have it any other way though! But on beers, the pain in my left calf muscle was absent on my pack walk at silly o’clock this morning, confirming, I’m sure, that beer is full of magical medicinal properties – truly, nectar of the Gods’. Well that is the story I’m sticking with anyway, let’s face it – when you’re on a good thing! G’day Baz, nice blog. 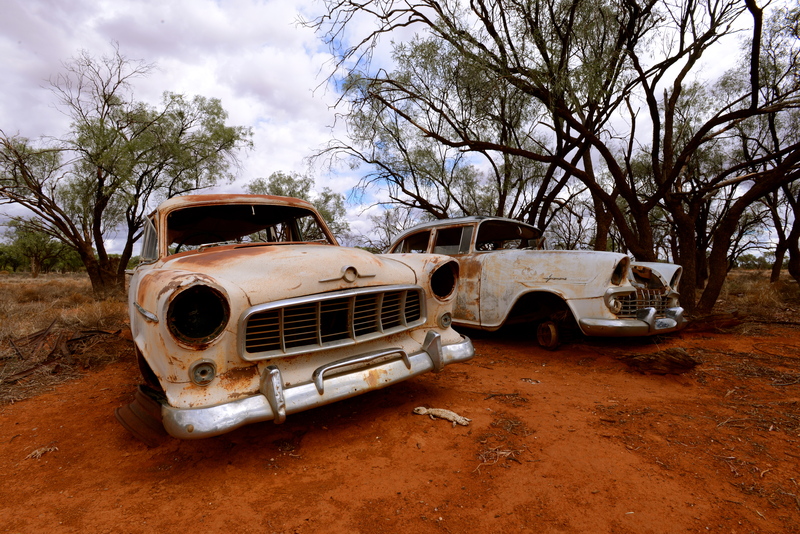 Is there any chance I can please use the pic of the 2 old holdens on my website please. Yeah sometimes beer has that magical effect … but then the morning kills the magic. We also disinfect any wounds internally with beer as well! And I know of those to be wary of when they open a tab at the pub! Actually, it isn’t too bad, part and parcel of training, and thanks for the tip on Tracks! Well ain’t that my lucky day, I love stout! Next thing I’ll have gout…! Have a good stout or porter for me, Baz!